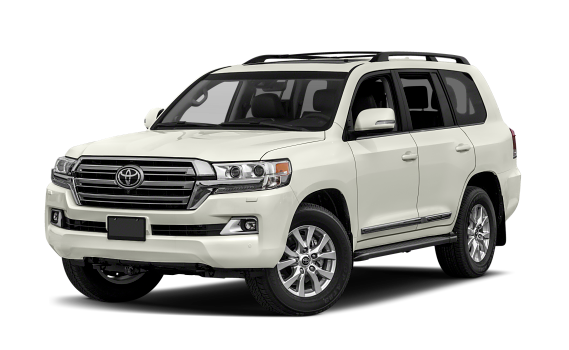 2019 Toyota Land Cruiser models include the features shown below. Additional equipment and option upgrades are available. If you need specific answers about Toyota Land Cruiser Trim Packages, Upgrade Options or Available Inventory, please Contact Us today. Color available only with Rear Seat Entertainment System. This is the ultimate expression of luxury and capability. The 2019 Land Cruiser makes an impression wherever it goes with its legendary off-road prowess and bold exterior details. A stylish front end, LED lighting and chrome side moldings with the Land Cruiser logo help give this SUV an unmistakable presence. So whether you’re traversing uncharted terrain, or enjoying a night on the town, you can rest assure that you’ll always arrive in style.